What Are Signs That A Baby Needs Glasses? Home » Eyeglasses » What Are Signs That a Baby Needs Glasses? Infants should be able to fixate ("lock" their eyes) on an object soon after birth and follow a moving object by the time they are 3 months old. You can use a toy or bright-colored object to determine whether your baby has reached these early milestones. By 6 months of age, babies should be able to see as well as adults in terms of focusing ability, color vision and depth perception. This is a little harder to discern at home. 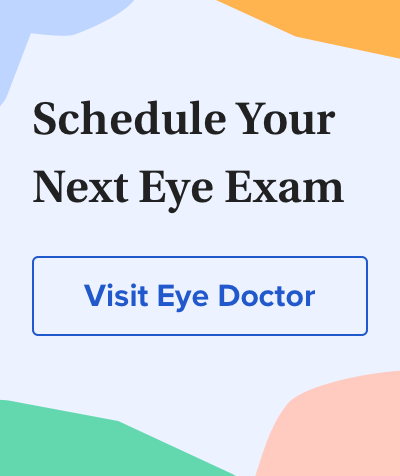 Your eye doctor will likely perform a few simple tests that don't require reading an eye chart. For example, tests of pupil responses evaluate whether the eye's pupil properly constricts (gets smaller) and dilates (grows bigger) in the presence and absence of light. "Fixate and follow" testing determines whether your baby's eyes are able to fixate on and follow an object as it moves. Another important test to determine if your baby might have a vision problem is called preferential looking. This involves using cards that are blank on one side with stripes on the other side (each card has stripes of a different width and/or contrast) to attract the gaze of an infant to the stripes. Using these cards, your eye doctor can measure your baby's visual acuity without requiring verbal feedback.